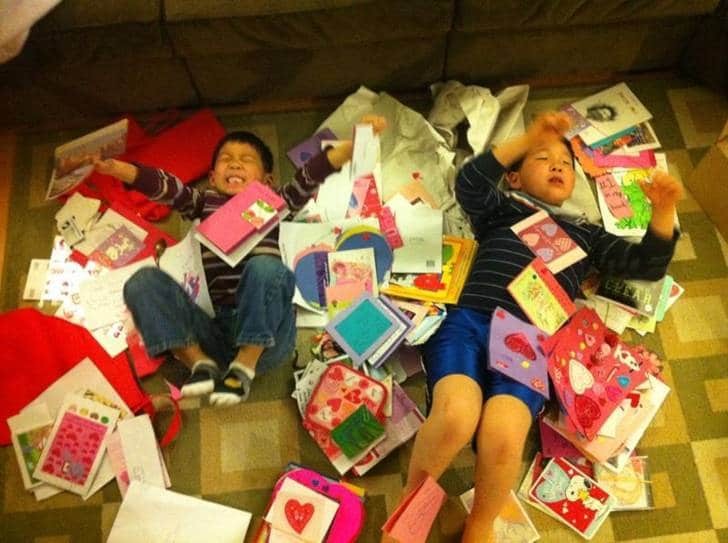 On February 14, five big “Heart for the Disabled” boxes filled with letters, gift cards, drawings, stuffed animals, poems and copies of hymns arrived at the homes of five special-needs families – and, boy, were they surprised! Eddie and Diane Kim spread all the Christian encouragement out on the living room rug and their two little boys with autism had a blast relishing in the notes written just for them. Justin Kim said, “Joni and Friends loves us, but I know Jesus loves even more!” The Kim family are overwhelmed by the assurances that so many people care and are praying. If you were one of the blessed contributors to this year’s “Heart for the Disabled” outreach, from the bottom of my heart – THANK YOU!